Heat the oil in a large frying pan/paella pan. Add the onion, garlic and red pepper. Cook for 5 minutes until softened, add the paprika and the saffron. Add the rice and stir to ensure the rice is coated with the oil. 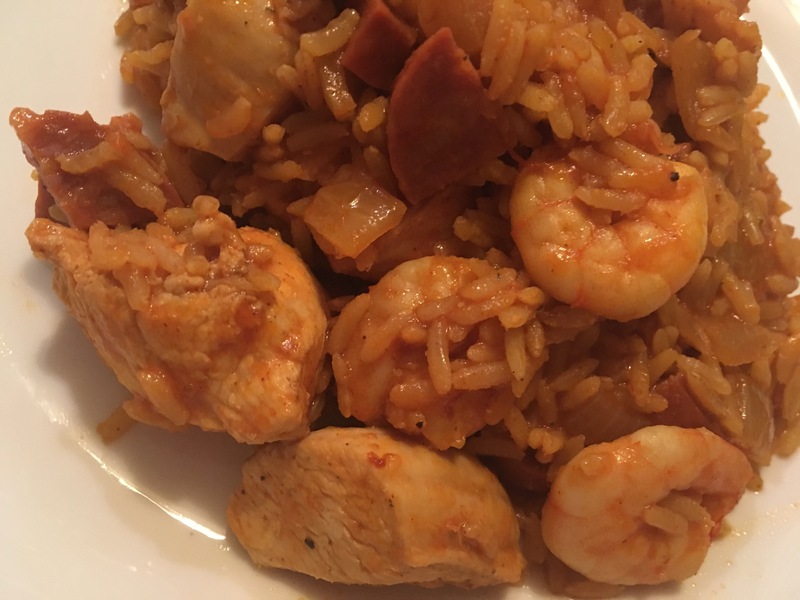 Mix in the chicken, prawns and chorizo. Add the boiling water, stock cube, tomato puree, salt and pepper. Bring to a simmer, and leave untouched/uncovered for 20 minutes.